This little multi-charger is a gadget that will recharge multiple devices at the same time. It is a little hub where you do not need multiple chords to charge your iPad Pro, Apple iPhone or your Apple Pencil, or mouse. Known as the Node, it is a tiny but powerful and you only need one for all your devices. The gadget was designed by ilovehandles and it allows you to charge three iOS gadgets at the same time with just one cable. 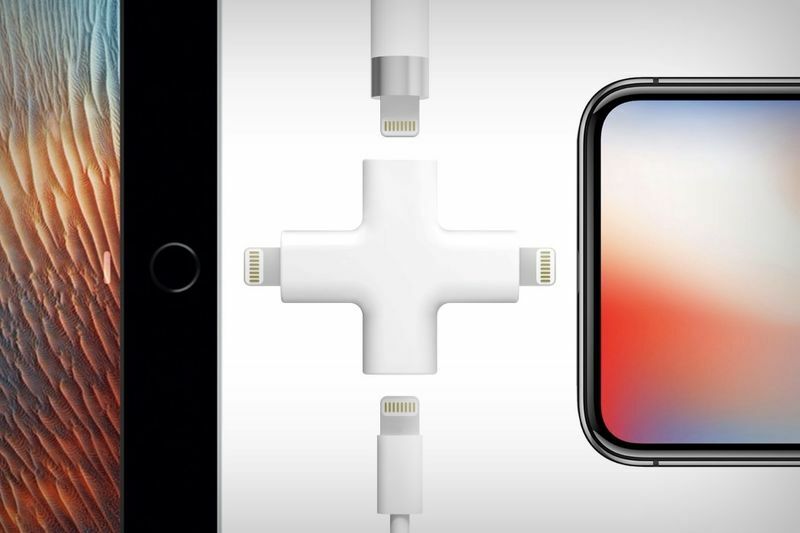 The Node features two male lightning connectors for your iPhone and iPad and two female lightning connectors for an Apple Pencil and a lightning charging cable. The Node is perfect if you own an Apple product, chances are you own more than one. Don’t let those pesky lithium-ion batteries get the better of you next time! The Node literally puts the power back into the consumer’s hands... and devices!